Get both our top selling brushes and save $10! 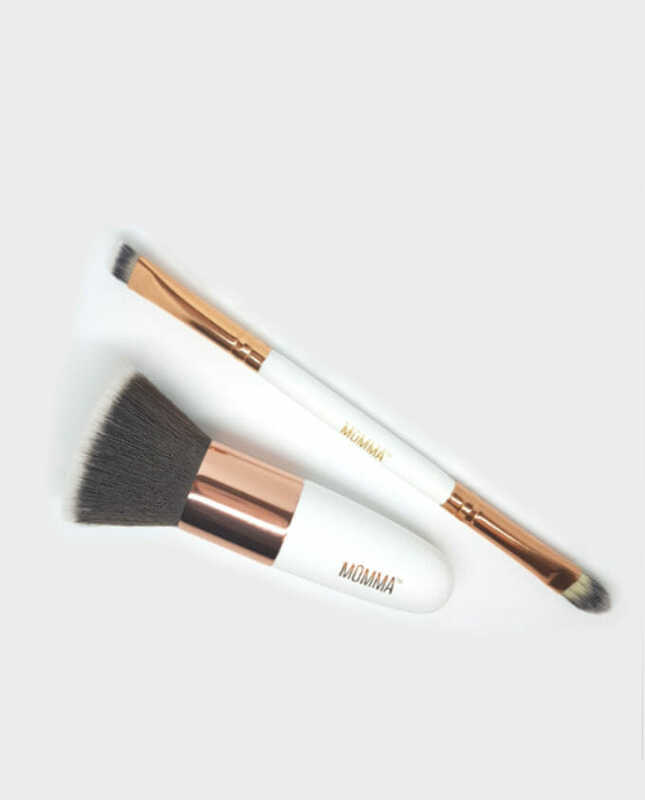 Rose Gold Flat Top Kabuki Brush. Ultra luxurious, super soft synthetic bristles for blending and buffing your mineral base for a flawless, no makeup look. The flat top design allows you to gradually blend until you reach your desired coverage without looking caked on. Great for both powder and liquids. Dual ended brow and concealer brush. Easy to clean, cruelty-free and vegan synthetic bristles. High density for precision application. Flat tip for filling in brows and rounded flat tip can be used for concealer, eyeshadow or lips. Get both our top selling brushes and save $7!